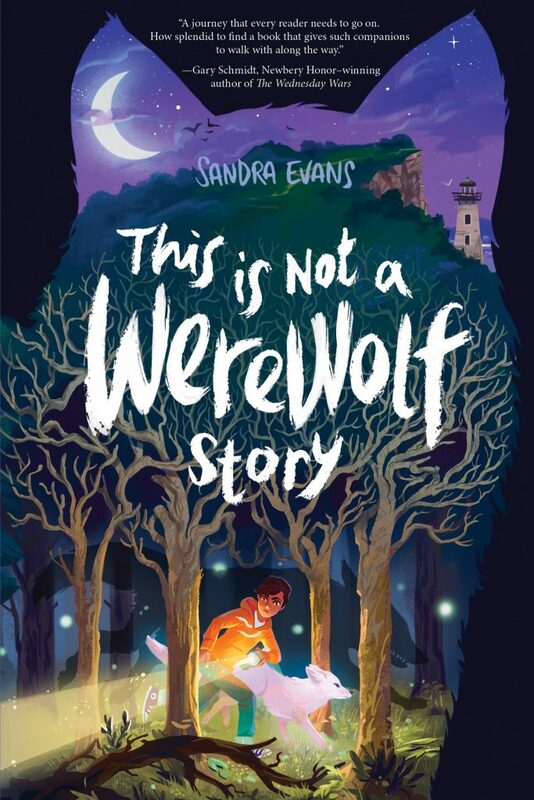 This month, I had the pleasure of interviewing Sandra Evans, author of the delightful middle-grade novel, THIS IS NOT A WEREWOLF STORY. Sandy and I met through our mutual friend, the writer Tamiko Nimura, who knew we both wrote middle-grade novels and thought we might hit it off. She was right. The first time I met Sandy at Corina Bakery in Tacoma, Washington, we talked for hours like we’d known each other for years. She is a kind soul, a kindred spirit, and a talented and tenacious writer. It’s my distinct pleasure to share with you how Sandy got to where she is today, and what keeps her motivated after more than thirty years of writing. Sandra: I started writing poetry when I was in middle school. I wasn’t a big talker and I was pretty shy. I think it was a way for me to process my feelings at a time when I didn’t have anyone to tell them to and I wouldn’t have known how to if I had. P: How and when did you know you wanted to be a novelist? S: I can’t think of a time in my life when I didn’t want to be a writer. From the youngest age, I’m sure. My parents love books. They read to me all the time. Creating one has always seemed like the greatest good. P: In addition to writing, you’re a mom, and you teach French at a high school. How do you balance writing, working, and home life? S: I don’t. It’s pretty messy and sometimes a little depressing. Sometimes I feel like I fight for every minute that I take to write—I’m fighting myself as much as everyone else. This year I’ve gotten in a rhythm of dropping my son off for school and then heading to the coffee shop for an hour before I go to school myself. It’s tempting to go straight to work instead. Students always need more time—that’s an abyss. You’ll never climb out of it. There’s always another stack of papers to correct. There’s always a handful of kids that make you lose sleep. My classroom always needs cleaning. I could spend an hour a day making photocopies, another hour writing emails to parents, and another harassing counselors and admins about kids that are freefalling through the cracks. So I try not to be a perfectionist. In theory I’m part time and so I try to work within the six hours a day I get paid for. On the weekend I try to get in at least three or four hours at a time. That way I can get my head around the whole story. I work out at least four times a week now that I’m at a gym that has classes on a near hourly basis. It gives me headspace to think about scenes and gets rid of all the stress of my work day. Also, there’s something about learning how to push through discomfort physically that has really helped me deal with the frustration that sometimes come with writing, and the eternal and never-ending self-doubt. My house and garden take the biggest hit. I try not to dwell on it. A friend recently described me as very disciplined. It kind of startled me. I don’t think of myself that way, but maybe it’s true. I try not to be rigid. I just know that if I want to do something, I’m the only one who can make that happen. Nobody else can do it for me, and nobody is really going to go out of their way to make it easy for me. P: Thanks for being so honest. It’s refreshing to hear you admit that you don’t balance it all—that it can get messy and a little depressing. What inspired you to write THIS IS NOT A WEREWOLF STORY? S: My son, for sure. I wanted to write a book for kids like him—who like science, and myths, and animals. I wanted to make a story that would give kids some of the emotional vocabulary that we don’t always learn. I think the sooner we can describe how we feel, the sooner we can figure out who we are and what we want and what we need. P: Couldn’t agree more. How did you come up with the title? S: It was originally titled A Secret You Must Keep. An agent who had requested the first 50 pages in response to my query wrote back with a little note saying, I’m not looking for werewolf stories. Or something along those lines. I tossed the returned pages onto my dining room table and said out loud to the empty room, Didn’t she even read it? This is not a werewolf story! And then I realized that was the perfect title since it would tell future agents that there might be a whiff of werewolf within these pages. P: I read on Query Tracker’s interview with you that you’d been writing books for twenty years before you sold THIS IS NOT A WEREWOLF STORY to Simon & Schuster. How did you stay motivated all those years? S: At a certain point I decided that whether or not I could ever sell a novel, I would always be writing one. The time I spend writing is like exercising or eating right or traveling or continuing education—it’s part of being happy and healthy. As a parent, I think it’s a good attitude and behavior to model—creative expression is an end in and of itself. P: I love that. Creative expression is an end in and of itself. What tips do you have for debut authors trying to find an agent? S: Don’t worry about doing extra research in order to personalize your query letters. That never worked for me, and I think trying to make some kind of emotional connection actually creates one on your part but not necessarily theirs! So, you lose time and you get too invested. I found two agents, for two different novels, through QueryTracker, without personalizing the query letters to either. I mean, obviously, use their name! And if you are truly contacting them because you love authors they represent, then include that. But don’t spend an hour or two combing through their list. Don’t force anything ever. Be honest. Don’t query too soon—the novel should be the best you know how to make it. But don’t wait forever either. A lot of agents aren’t looking for perfection—they’re looking for a spark, a voice, a hook that makes them light up a little. Query in small batches—five to ten at a time, one day a week. It’s a little soul crushing—the burst of hope that follows sending a query and then the silence. If after a few weeks you’ve gotten a few nibbles (as in, requests for partial or full manuscripts), then have faith in what you’re doing. If you’re getting nothing, then pull back and revise your pitch. Also, start working on a new story as soon as the querying begins. P: This is great advice. I wish I had known to do small batches one day a week when I started querying. You grew up on U.S. Navy bases from Florida to Hawaii. Did growing up in lots of different places influence your writing? S: Yes. It made me very shy, and in turn, that made me a huge reader as a kid. In middle school—the loneliest time—my mom would take me to the library every two weeks and hand me two grocery sacks to fill with books. Everyone does need friends but, in the meantime, books will do. Most of my life, I’ve always felt slightly out of the loop, slightly out of step. I always thought I felt like an outsider because of moving so much and always being the new kid. As I get older though, I see that most of us feel that way at least some of the time. It’s just part of being human. I do think identifying yourself as an outsider helps in writing middle-grade fiction. It’s an age that is practically defined by the feeling of being overlooked, awkward, and excluded. Well, it was for me anyway! P: I can relate to that. It’s probably why I love reading and writing middle-grade novels. What are you currently working on? S: Agh. That question always makes me feel like Charlie Brown when Lucy swipes the football away. I knew it was coming and I’m never ready. Here goes. I am finishing up a second draft of a side-quel to THIS IS NOT A WEREWOLF STORY. It follows Mary Anne during the summer that Raul has disappeared. On her last day of school before summer, Mary Anne unwittingly unleashes something—and someone—entirely unexpected in White Deer Woods. The magic follows her when she is sent to stay with Dean Swift’s friends in Paris, the last of the Lusignan dynasty. In their marvelous Parisian hôtel particulier, Mary Anne stumbles on secret after secret, until finally she comes to understand her own role in the mystery. P: I’d buy that book in a hot second. Is there anything else you’re working on? S: I have a lot of side projects—a couple romance/mysteries, a couple adaptations of medieval epics, a rambling coming of age novel about waitressing in Seattle in the 90’s. Eventually I’ll have time to work through each. Right? P: Right! Thank you so much, Sandy, for taking the time to answer my questions, and for being so open, honest, and encouraging. I loved THIS IS NOT A WEREWOLF STORY and highly recommend it to anyone who likes animals, misfits, and magic (a fantastic combination). I wish you all the best with your current projects and eagerly await the release of your next novel. Sandra Evans is a writer and high school teacher from the Pacific Northwest. Her middle-grade novel, THIS IS NOT A WEREWOLF STORY (Simon & Schuster, 2016), was inspired by her favorite 12th century French tale, Bisclavret, by Marie de France. 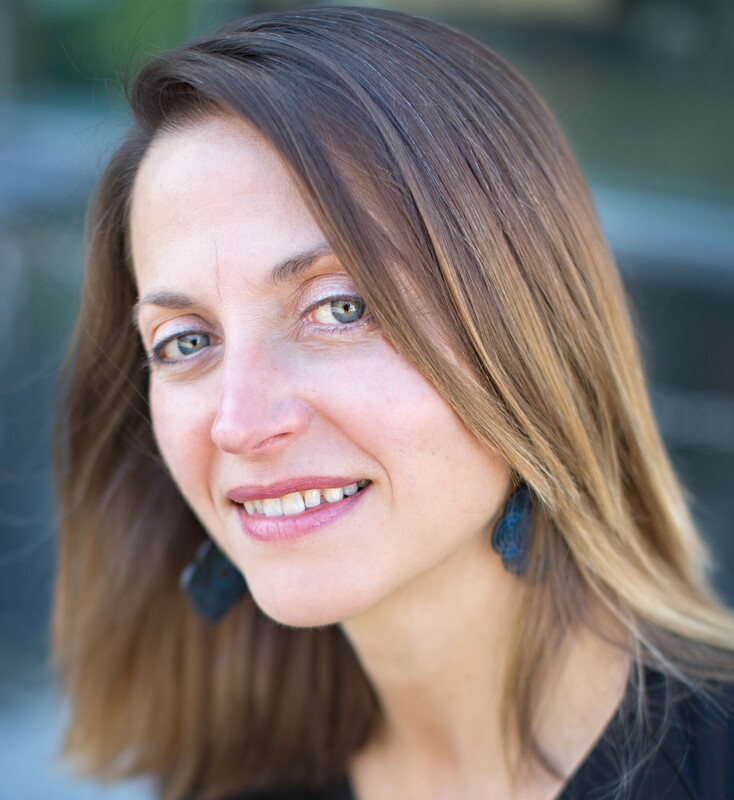 Sandra holds a Ph.D. in French Literature from the University of Washington. Over the years, she has taught courses on medieval literature as well as French language and culture at the University of Washington, the University of Puget Sound, and the Université de Paul Valéry in Montpellier, France. She shares her free time with her husband, son, and her dog Bingo—walking on the beach, playing tennis, going to the YMCA, hanging out in bookstores, playing cards in coffee shops, and wandering through museums. To learn more about Sandra, visit her site, follow her on Twitter and Facebook, and check out her marvelous book. So glad to hear that it helps you too, Bel! It does the same for me. It’s one of the main reasons I do Interview With Creatives on my blog. I’m curious about creative people and want to know more about them, but am also looking for stories that will keep me inspired to keep creating.